Currently ELSSS is supported financially by the Royal Economic Society, the University of St Andrews and by Scottish Enterprise Fife (an agency of the UK government-funded Scottish Executive). Thanks to these institutions, ELSSS has the necessary funding to plan the long-term development and sustainability of its Journals. Moreover, ELSSS enjoys the formal support of CHUDE*, the association of all British University Departments of Economics. Both the Consortium of University Research Libraries (CURL) and the Scottish Confederation of University and Research Libraries (SCURL) support the ELSSS project. 1. 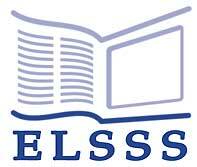 By April 2002 ELSSS will be established as a Charitable Trust under Scottish Law. Trustees will include leading international economists, representatives of learned societies, of libraries' associations, and of Universities. The charitable status of ELSSS and the composition of the Board of Trustee (made up of leading economists and other representatives known for their integrity and public spiritedness) are the best guarantees that ELSSS will be run for the exclusive benefit of the academic community worldwide. coordinating the efforts for the formal establishment of ELSSS. 3. As from April 2002, as soon as ELSSS is formally set up as a Charitable Trust, it is expected that ELSSS Publishing Ltd will become the "trading arm" of the Trust. Corporate transparency is one of ELSSS's tenets: if you have any queries about ELSSS and/or ELSSS Publishing and wish to know more about the way in which both organizations will serve the academic community worldwide, please email the ELSSS office.